There are plenty of riders who have difficulty eating and drinking while on the bike, especially under fast or hilly race conditions. But imagine being in an event, pedaling and breathing hard as you try to keep up with the peloton, injecting yourself with life-saving medication. 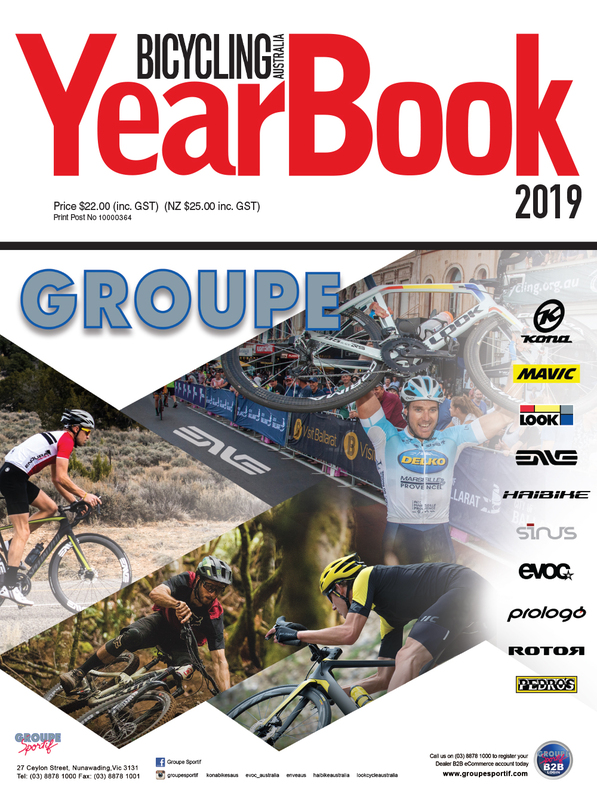 That is the reality for members of the professional road race team, Team Novo Nordisk, as well as any number of club level riders, like Sydney’s Rob Russell. All Type One diabetics, they rely on insulin to keep them alive and well. But they don’t let having diabetes stop them from living normal lives – even when their “normal” means bike racing! Not only do they take their insulin injections in their stride, but also regular blood sugar finger prick testing – although this has been made easier in recent years by modern technology that constantly monitors their sugar levels and lets them know when they need insulin without finger prick tests. One step further is technology which actually administers insulin to the riders when they need it (avoiding the need for on-the-road shots). But whatever system they use, they refuse to let their diagnosis stop them from riding; in fact, they use their riding to send a loud and clear message to anyone living with a health challenge that anything is possible. “Basically we have Type One Diabetes, but we still do all we would do if we didn’t have it,” says St George Cycling Club member Rob, 48 a staunch supporter of Team Novo Nordisk and a proud wearer of its kit. Rob, like his favourite pro team, is passionate about spreading the message that Type One Diabetes does not have to be a barrier to keeping active, in particular by cycling. Team Novo Nordisk, a professional cycling team made up of all Type One diabetics. The world’s first all-diabetes professional cycling team, Team Novo Nordisk races to inspire, educate and empower everyone affected by diabetes as it competes against the best cyclists in the world on the International Cycling Union (UCI) Professional Continental tour. Based in America, the team has three Australians on its roster for 2019 – Fabio Calabria, Declan Irvine, and Sam Munday. Declan and Sam are both new to the pro team while Fabio has been racing on the team for 10 years. When you eat, some of your food is broken down into sugar (glucose). Sugar travels in your blood to all your body’s cells, where it is needed for energy. A hormone called insulin helps sugar move from your blood into your cells. In diabetes, the pancreas makes little or no insulin, or the body prevents the insulin you do make from working. Type One diabetes develops when the body cannot make any insulin, the hormone that controls blood sugar. Type Two diabetes develops when the body cannot produce enough insulin, the hormone that controls blood sugar, or the insulin that is produced does not work properly. Type One diabetics therefore need supplementation with insulin, while Type Two diabetics can often control their sugar levels with diet and lifestyle changes. Team Novo Nordisk help share the 'changing diabetes' message everywhere they travel. IS INSULIN ON THE BANNED LIST? Insulin is on the World Anti-Doping Authority (WADA) banned substance list, along with needles, so diabetics requiring insulin who want to race bikes must have a Therapeutic Use Exemption (TUE) on file with their national cycling governing body. All the members of Team Novo Nordisk have TUEs. Jane Overland says, however, that riders requiring insulin for their disease do not gain any performance benefit from it, other than staying healthy. He was 23 when he was diagnosed with Type One diabetes. “It usually has a trigger and in my case that was my first job, shift work, a stress on the body, which triggered an autoimmune response,” he says. 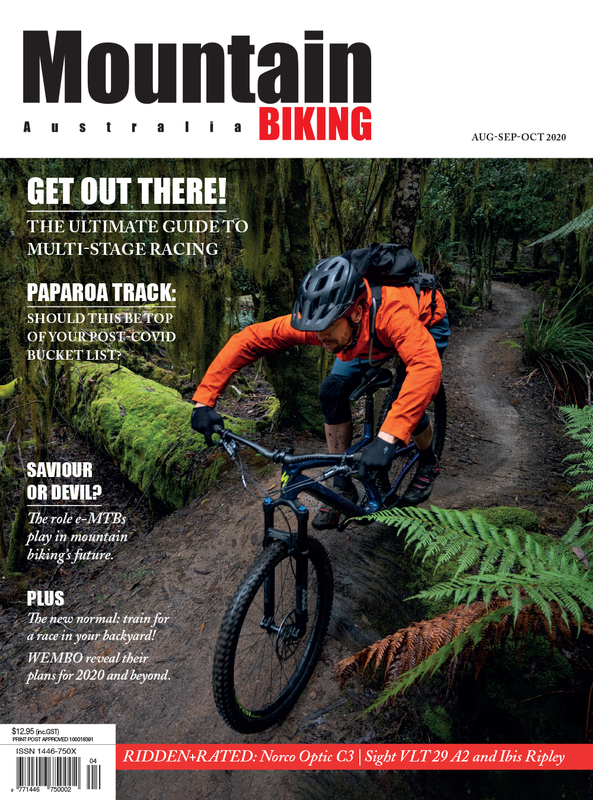 “I had recently moved out of home and was cycling on a rigid mountain bike, with no suspension, bombing down Bulli Pass fire trails, and starting to get into mountain biking. Team Novo Nordisk at the 2018 edition of the legendary Milan San Remo one-day race. “Suddenly I developed had all the classic signs and symptoms…I was constantly thirsty and urinating all the time. The doctor recognized me as a classic diabetic and put me straight into hospital. “I weighed 45kg, had lost a lot of weight, down from 70kg. It happened so quickly, over a period of a couple of weeks, but in hospital they sorted it. Scary to start with, but faced with the alternative, it’s something you have to get used to. Starting off with multiple daily insulin injections, 10 years ago Rob moved to an insulin pump which has the advantage of being able to deliver basal insulin which more closely mimics a healthy pancreas. Luckily there is now an alternative to having to inject insulin on the bike. “The technology we have now is continuous glucose monitoring (CGM) where you have a sensor under the skin which continuously monitors glucose levels. The pump is a small box that goes into a jersey pocket, with tubing that fits under knicks and a cannula that goes under the skin, and “doesn’t affect your MAMIL status”. Rob has managed to do a number of events including Sydney to Gong Ride, the Bowral Classic, the NSW Club Teams Time Trial Championships and Ride for Robbie, as well as club races. Armidale-born Sam Munday, 20, has signed with Team Novo Nordisk for 2019. 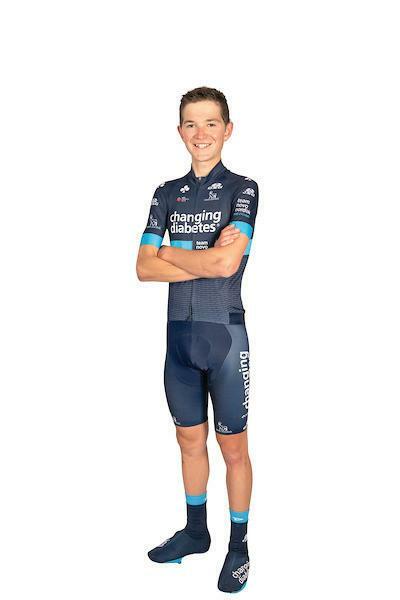 Armidale-born Sam Munday, 20, has signed with Team Novo Nordisk for 2019 and has been a Type One diabetic since he was 11. He had already been diagnosed when he followed his father and older brother into cycling and started racing when I was about 13. “Leading up to my diagnosed I had been quite unwell. I had gone to school camp for a week and came back and my parents noticed I had lost 5k,” he says. “I didn’t pick up the signs, but they did…frequent urination, constant drinking and I also had a cut on my arm that wouldn’t heal, so that sent alarms to them and they got me to the doctor. He says at first it was daunting doing the regular blood sugar tests, but within weeks it “became like brushing your teeth”. “Cycling is exercise and will naturally bring down blood sugar levels, so I have to monitor that differently to someone who is more sedentary. I check sugar levels multiple times a day, and also use the continuous glucose monitor which eliminates the need for testing with finger prick and makes managing our diabetes easier. “Generally I don’t have to check mid-race as the monitor provides us with alarms so we can keep on top of things before any issues arise. Sam says generally all the guys carry their own insulin on the bike, and yes, their bike handling skills do come into play if they have to take a shot! Diabetes aside, Sam says he is looking forward to his first year in the pro team. 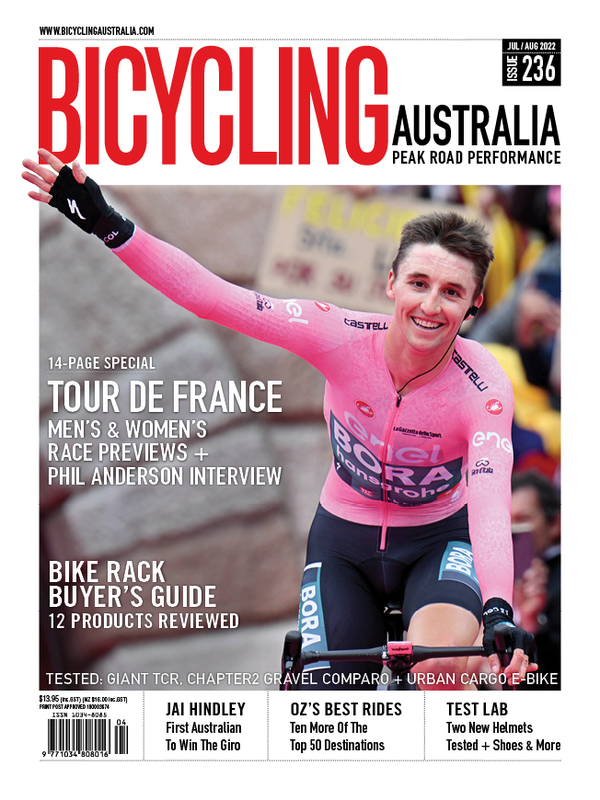 Enjoy Bicycling Australia Content? Subscribe To Our Print Edition Here!